NYC is Blue: Season Ticket Plans Announced! The Supporters' Section is in the left field bleachers (orange), Sections 235-238. 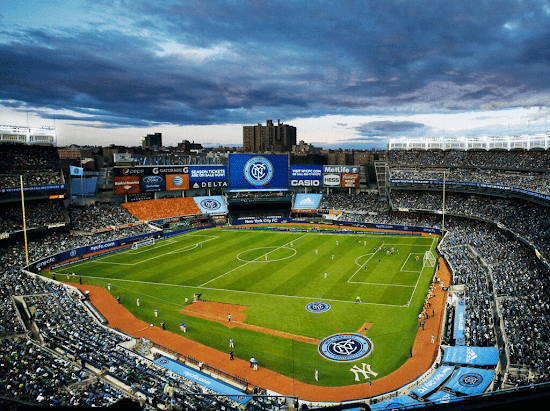 NYCFC consulted with us on the location, and we agreed that this was the best place for us. The bleachers are conducive not only to standing but to the rousing atmosphere we hope to create at Yankee Stadium. We have also asked that members of the Third Rail be placed in Sections 237 and 238, directly behind the visitors' bullpen. This will mean nobody either behind or in front of us, so we may stand to our hearts' content. As for the pricing, it's very competitive. 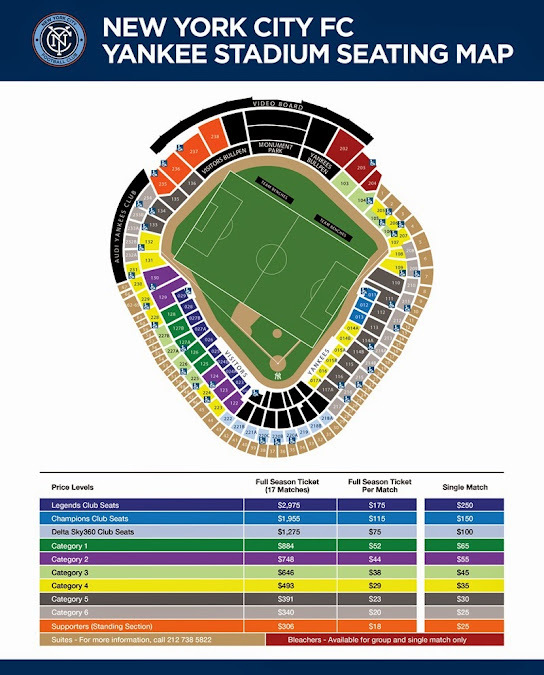 $18 per match in our section, $306 for the entire MLS season. Buy your season tickets here or call 855-77-NYCFC to secure your seats today!